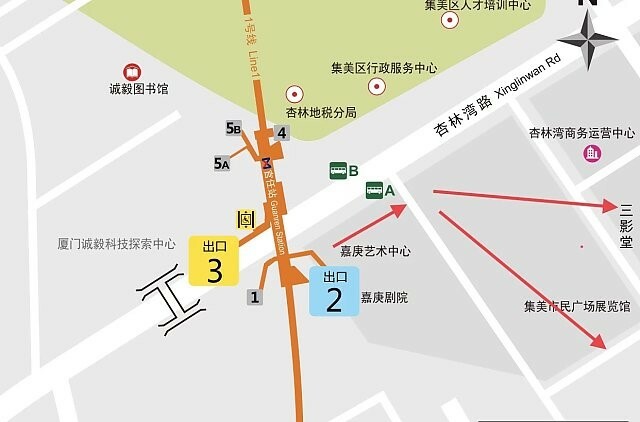 How to get there: Take the bus to Xinglinwan Business Center (杏林湾商务营运中心), or take the subway to Guanren Station (exit 2) and walk to Xinglinwan Business Center. Then take the elevator to the third floor of the Center. Three Shadows Photography Art Centre is next to At Cafe. How to get there: Take the bus to Civic Square Station (市民广场). Or take the subway to Guanren station, exit 2. The Main Exhibition hall is under the square. How to get there: The North Shore Art District is located at the intersection of Tiyu Road and Jinqiao Road (behind the Bus Station of Shuncheng Building) in Siming district.